Offering you a complete choice of products which include mini reversible drum mixer, rm-800 mini reversible drum mixer, reversible drum fertilizer mixer machine, reversible drum mixer and reversible drum concrete mixer. Our company is instrumental in offering premium quality Mini Reversible Drum Mixer to our esteemed customers. These machines are widely used for mixing construction materials such as limestone, cement and sand. The offered mixers are precisely manufactured using advanced machinery to ensure optimum standards of quality. Our company is instrumental in offering premium quality RM-800 Mini Reversible Drum Mixer to our esteemed customers. 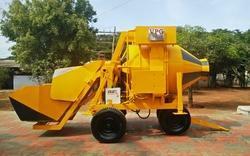 These machines are widely used for mixing construction materials such as limestone, cement and sand. Our company is instrumental in offering premium quality Reversible Drum Fertilizer Mixer Machine to our valuable customers. These machines are commonly used for effective mixing of different materials that are commonly used in different construction industries. Our quality controllers rigorously check these machines on various in-house quality assurance procedures to ensure a defect free range. 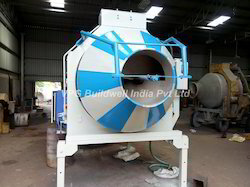 We are counted amongst the leading manufacturers and suppliers (exporters) of Reversible Drum Mixer. In order to live up to this reputation, we use the finest raw materials available and the most advanced machinery. Its impeccable sturdiness and resistance to corrosion makes it highly durable. In addition, its ability to mix concrete at a fast rate makes it ideal for a number of construction industries. We offer Reversible Drum Concrete Mixer to our clients. Looking for “Reversible Drum Mixers”?